When brands marketed different cars under the same name. In the 1970s, 80s, and 90s, it was common practice for motor brands to operate almost independently from one region to another – just look at Ford’s European and American exploits. But in recent years, almost all manufacturers have taken on a singular focus towards global models. Ford’s One Ford Strategy of a few years ago embodied this best – with almost every model developed for global release. Of course, Ford has now changed tune a little, with , but the global philosophy is one that most brands are still firmly on board with. However, there are exceptions to the rule, times when brands went a separate direction in different markets. We’re talking about cars being separated at birth – hailing from the same brand and featuring the same name, but different in style, model line-up, and sometimes being a completely different car altogether – absent of any relation but the name and the badge on the hood and tailgate. 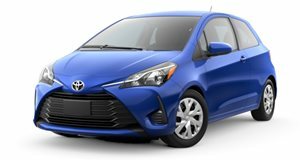 The Toyota Yaris is available in the United States in 2 versions – the standard Yaris hatchback and the Yaris iA sedan – both of which are relatively compact bits of machinery powered by 1.5-liter 4-cylinder engines. The iA, though, isn’t even really a Toyota, as . But the Yaris elsewhere in the world takes on a different form. In many Asian countries, including China, Indonesia, and Thailand, as well as South Africa and Brazil, the Yaris is a larger and far more practical hatchback and sedan model based on the Toyota Vios. Specifications vary greatly from country to country, with engines ranging from 1.2-liter displacement up to 1.5-liters. 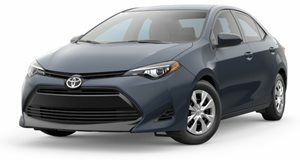 The Toyota Corolla is . Though it might be relatively boring, it’s functional, practical, and reliable. For a number of years now, the majority of the world has received a ‘global Corolla’, with design and spec varying minimally, but the sedan virtually remaining unchanged. The USA-spec Corolla has been visually quite different, but ultimately beneath the surface, the product was the same. But the Corolla iM is unique to the USDM market – a . That’s not the only unique Corolla though, as the JDM Corolla (codenamed E160 compared to the global E170) is substantially different to the global model. Sold in Japan, Hong Kong, and Sri Lanka, the E160 is substantially smaller, both in length and width, and features only engines with a displacement of less than 2.0-liters in a bid to reduce the road tax owed by buyers. 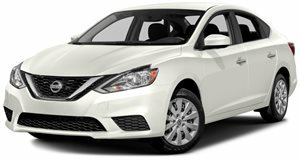 The Nissan Sentra is a rather bland, but competent kind of vehicle, and has been for some time. But between 1995 and 1999 when the US received the B14 generation Sentra with decent 1.6- and 2.0-liter engines, South Africa had a Sentra that was a completely unrelated model. The carmaker built and badged the N14 Nissan Pulsar as a Sentra (sedan) and a Sabre (hatchback). It wasn’t without its own decent engines though, offering a 1.6-liter in two states and a 2.0-liter SR20DE motor with 141 horsepower. However, in recent years, South Africa has reintroduced the Sentra – the same one as the United States. The VW Jetta is fairly well known around the world as the sedan sibling to the brand’s iconic Golf. 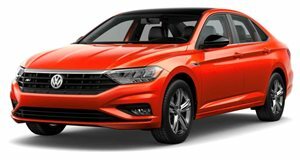 But if you walk into a VW dealership in China and mention the Jetta, you’ll be shown a model that's far smaller than the one you’re accustomed to. What’s badged as a Jetta in China is in fact based off a smaller platform, one related to that of the VW Polo and Audi A1 – subcompact hatches not available in the USA. Even then, it’s not quite a direct relative of those and is closely . The Chinese-spec Jetta is powered by 1.4-, 1.5-, and 1.6-liter 4-cylinder engines, which provide ample power for a relatively compact body. If you’re a North American and know of the Ford Granada, you’ll likely think of the 1975 successor to the Ford Maverick. More than two million US Granadas were sold in total, so chances are if you’ve been around for a few years – especially since production spanned two generations over seven years. But for anyone outside of North America, you’ll be thinking of an entirely different kind of Granada – a large executive car available in sedan, coupe, and wagon guises between 1972 and 1994. Though both cars were built and sold during the same period – at least initially – they were both completely unrelated – with the American version known for its inline-6, V6, and V8 engines, whilst the Euro-spec was powered by everything from an inline-4 to a V4 and a range of V6s. Just one V8-equipped Euro Granada derivative was ever sold, in Sunny South Africa where it was known as the Granada V8 and produced by Basil Green Motors. The Fusion is Ford’s mid-size sedan offering to the world, and though known in some markets as the Mondeo, the Fusion is fairly widely known as the sedan since its release in 2005. 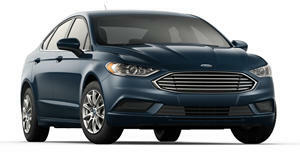 However, from 2002 to 2012, Europe produced a Ford Fusion of a different kind. The European Ford Fusion was a Fiesta-based mini-MPV, and a predecessor to the Ford B-Max, powered by 1.4- and 1.6-liter gasoline and diesel engines. It was an odd looking thing that thankfully only lasted one generation. The American Fusion, however, has lived on far longer and has developed quite the following as . Between 1995 and 2004 in European countries that didn’t receive the Mitsubishi Lancer, the Japanese brand offered an alternative called the Carisma. Unlike its name may have suggested, it was anything but charismatic, neither in design nor in how it drove. In fact, the Carisma was rather boring. Strange then, that in those same countries, Mitsubishi would offer another Carisma that was completely unrelated. and shared no underpinnings with the Carisma. There were even Tommi Makinen Edition Carisma GTs, and as a hat-tip to the Carisma, Mitsubishi entered a Carisma GT in WRC as its second car on numerous occasions. The current Nissan Pathfinder has been available as a . But while production was already in full swing, South Africa was introducing new derivatives of the Nissan Pathfinder – though that was still the previous generation Pathfinder, underpinned by the body on frame chassis used in the Frontier. In fact to this day, the R51 generation Pathfinder is still produced and sold in numerous countries alongside the new Pathfinder, ensuring that from one country to the next, the Pathfinder nameplate refers to very different vehicles indeed. 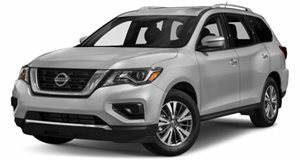 Funny how the US gets a new Pathfinder, and yet Nissan still refuses to replace the aged Frontier with a new, class-leading one.